Cool Freeware Animated Screensaver. 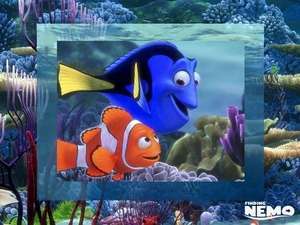 Finding Nemo Movie Screensaver currently includes 16 images from funny movie. You'll meet with your favourite heroes and will enjoy again. Absolutely FREE! For security reasons, you should also check out the Finding Nemo Movie Screensaver download at LO4D.com which includes virus and malware tests. Additional screenshots of this application download may be available, too. Finding Nemo Movie Screensaver has a presence on social networks.